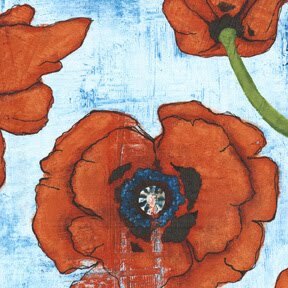 Laura Gunn's new Poppy collection is here! We always love her painterly style and unique palette. In this collection of prints she's mixed bold flora (especially poppies) with polka dots. Micheal Miller's Hedgehog Group has also arrived! Indeed, cute hedgehogs are featured, as well as lovebirds and adorable mod flowers and stripes. I love the mustard, teal and hot pink combo! 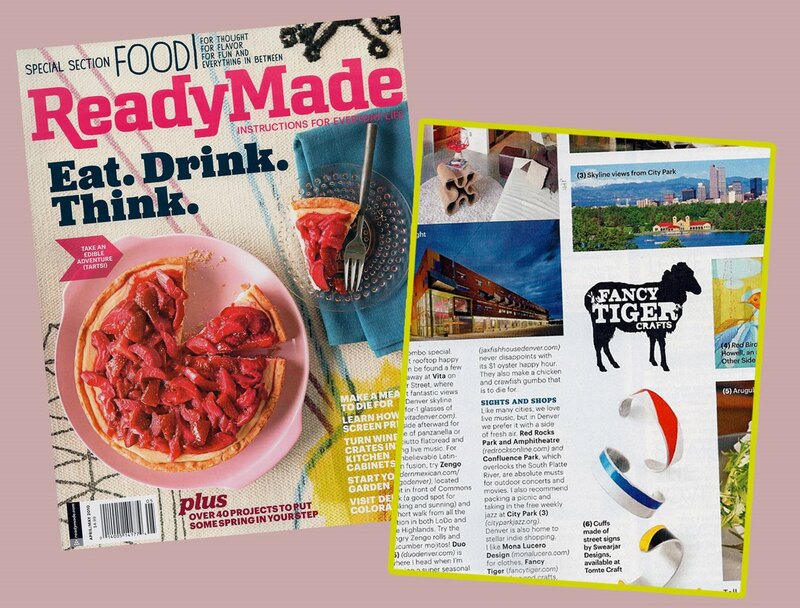 We are so excited to be featured in two magazines this month! 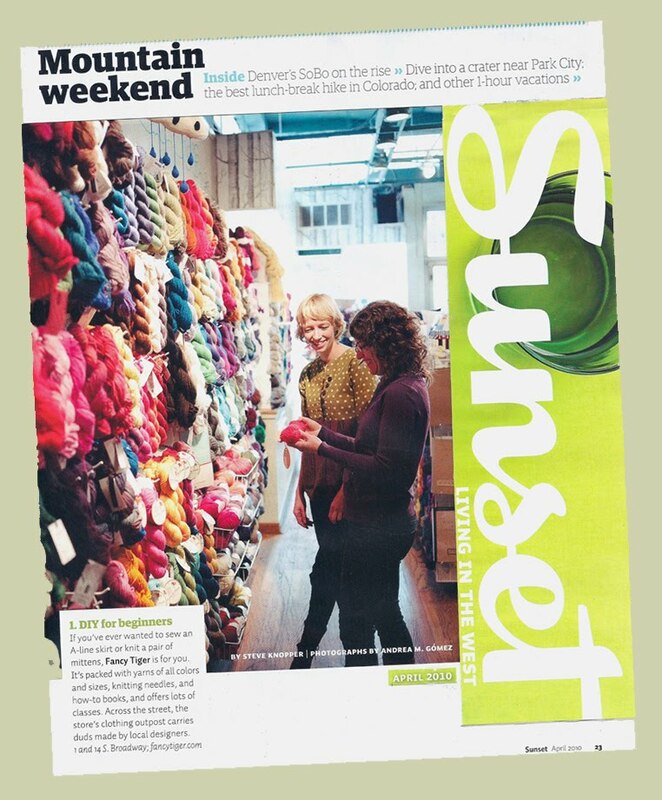 Both Sunset magazine and Readymade magazine just printed articles on Denver in their most recent issues. Yay for Denver! Sunset wrote about our happening South Broadway neighborhood. Some of our favorite shops and restaurants are also featured! 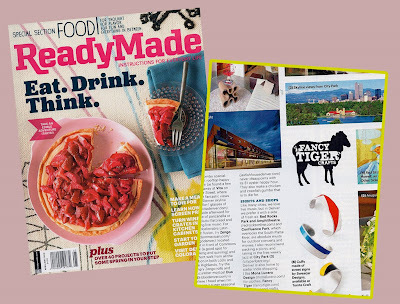 Readymade showcased some really great places all over the city and we are pretty proud to be included! 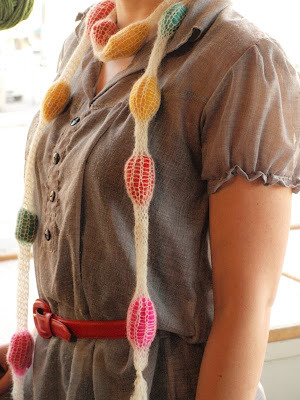 Nadine is one of the most prolific knitters we've ever met! 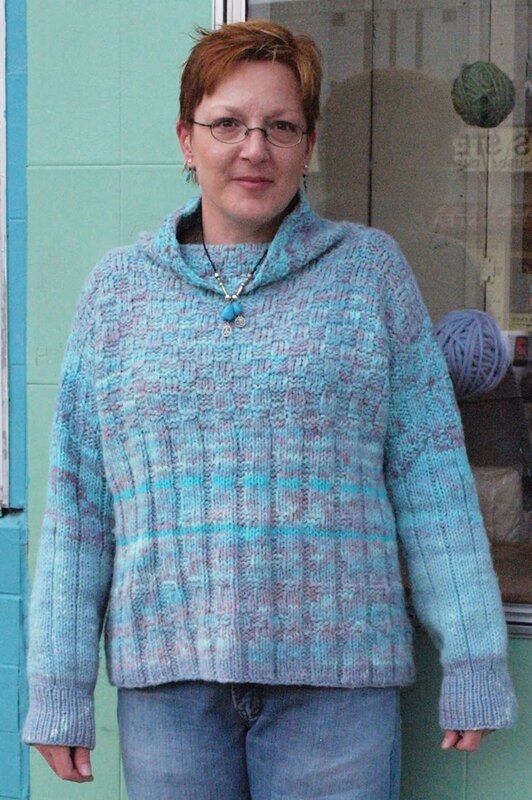 When she comes into the shop she's always wearing the newest sweater she's completed. What makes it even more impressive is that she makes each one up as she goes, experimenting with different stitches and ideas in each one. 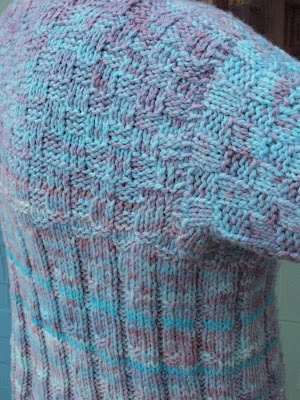 Nadine recently came in to show us the result of her new interest, hand-dyeing her own yarn, wearing this beautifully speckled lavender and blue sweater. An artist by trade, I've always crafted and recycled all types of item from old jeans into purses to strips of old socks woven into grocery bags. I knit, crochet, paint canvas, needlepoint--just about every type of craft. I've recently gotten into making my own knitting needles and hand dyeing wool. Tell us about the sweater you are wearing. I hand-dyed Cascade Eco-Wool and used #11 needles for a looser stitch. I create all my patterns but the basic pattern is alternating K4, P1 and K3, P3 all over. How did you learn your crafts? My grandmother taught me to crochet at age seven and knitting came later in life. All my other crafting I've either learned in college or from people I've met across the country. Thanks Nadine! We can't wait to see what you make next! New! Malabrigo Rasta Super Bulky Yarn! We've got the newest Malabrigo yarn in! 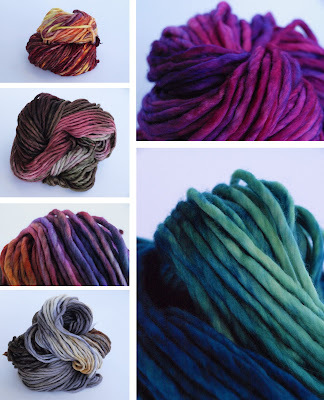 Rasta is a super bulky, kettle-dyed merino yarn. 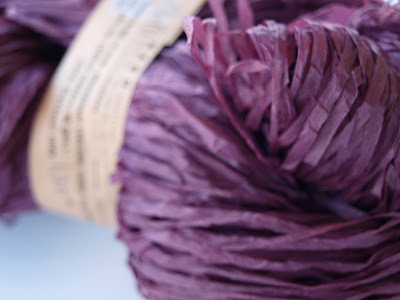 Malabrigo always dyes the prettiest, most colorful, glowing yarns and this chunky yarn is no exception. We imagine cuddly scarves, berets and cardigans, but we can't wait to see what other crafty things creative folks come up with for this soft and squishy yarn. 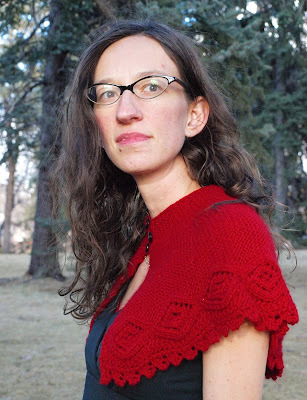 One of our customers came in wearing the most beautiful Emily capelet from Ysolda Teague's new book, Whimsical Little Knits 2, and I was inspired to make one of my own. It was shortly before Spring Festival (also know as Lunar New Year or Chinese New Year) and it is tradition to wear new red clothing. 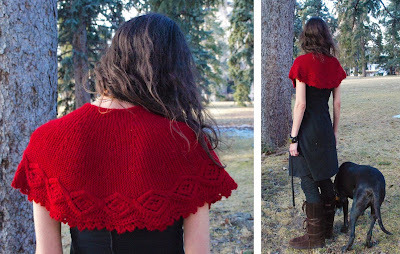 Well, I am a Tiger and this is the year of the Tiger, and after finally getting over my six year aversion to red I thought I should celebrate by knitting myself a red capelet for a present! After all, the name of the pattern is Emily, how perfect is that? 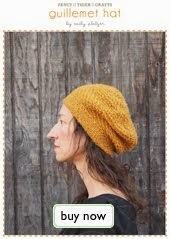 I have been a aficionado of Ysolda Teague ever since making her Urchin pattern (available free on Knitty). Her designs are always surprising in their clever construction and are an homage to the craft of knitting. 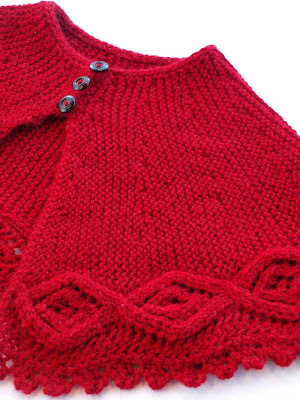 This exciting project contains so many techniques--including short rows, cables, I-cord border, lace knitting and knitted lace--but is fairly simple and thus an excellent introduction to these concepts. I love it! It is so perfect and beautiful and special. I used two skeins of Cascade Pure Alpaca in the loveliest shade of Ruby. (knerd digression) The only thing I changed was the way the wrapped short row stitches were treated... 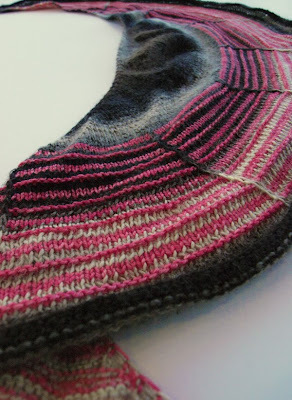 I used Cat Bordhi's method of picking up and knitting the wraps from her book New Pathways for Sock Knitters: Book One (/knerd digression). 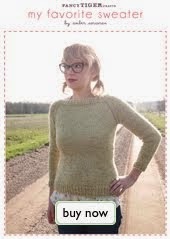 We have the pattern for the Emily both in the Whimsical Little Knits 2 and as a single pattern. Claudia is one of our favorite ladies around here. She has been a Fancy Tiger sewing instructor since the early days and is always inspiring us with her ideas and craftiness. It brings a smile to our face when she comes into the store with her adorably sweet children in tow--often sporting handmade outfits. She is currently taking some time away from the classroom to celebrate the arrival of the newest member of the Miller family, Miles. 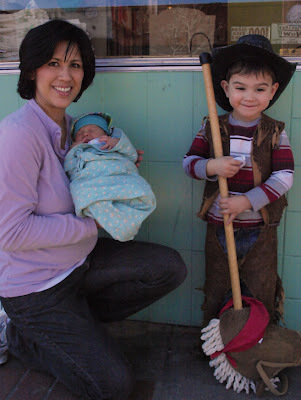 We just got to meet him for the first time when Claudia stopped by with big brother, Cowboy John. 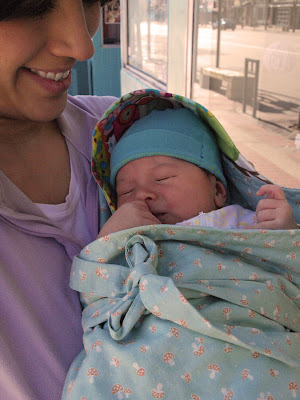 Little Miles was already cloaked in a cozy blanket of handmade awesomeness! How do you do it, Claudia?! I'm a wife and mom who really enjoys being domestic! I like learning new skills and have a long wish list of things I want to learn to do/make but I especially like to sew. Tell us about Miles' blanket. I sewed the "Snuggie Wrap Blanket" from Amy Butler's book "LIttle Stitches". 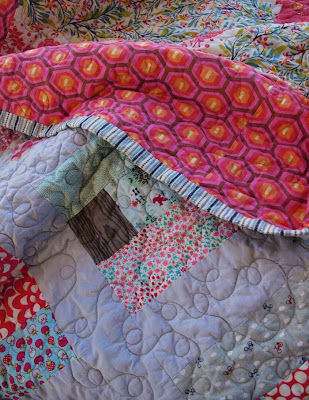 I used flannel and quilting cotton purchased at Fancy Tiger! My sewing adventures began in middle school in Home Ec. I continued to sew through college with some help from my mom. I have to give lots of credit to Ms. Darlene who was my sewing teacher at Emily Griffith Opportunity School. She was very helpful in taking the mystery and "fear" out of sewing for me. I have also learned lots from just trying things out on my own. New! 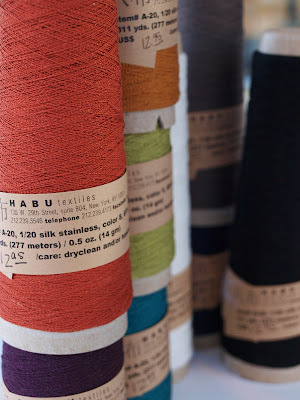 Habu Textiles Yarns and Kits! 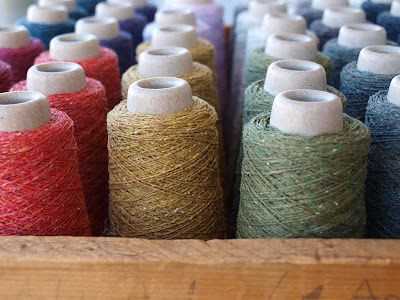 This is their beautiful 100% silk tweed yarn in a rainbow of lush tweedy colors. This is my favorite, a silk and stainless steel yarn! It knits up beautifully--the fabric is silky soft, but the steel gives it a memory so that it crinkles with texture. We also have the Kusha Kusha Scarf Kits, which will get you started knitting a gorgeous silk/stainless and merino scarf. We are working on one right now! 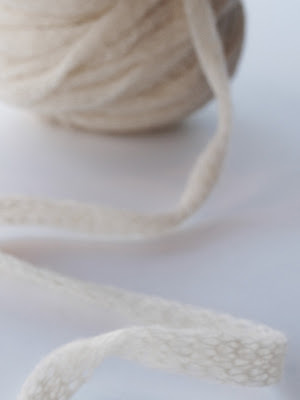 This is a pretty paper yarn, made with viscose. It makes a fluttery, light crisp garment. 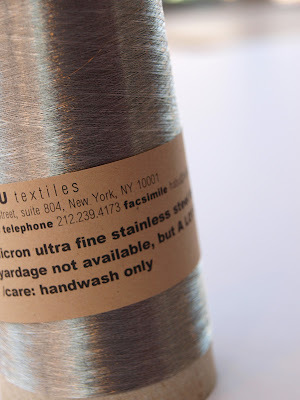 One of Habu's most unique products is this super fine stainless steel thread. You can hold it along with another yarn to add the unique memory of steel to your project. We are also planning to experiment with it in our hand spinning! We love this knit alpaca cord! We made this bobble scarf in about 5 minutes from just 2 1/2 yards of knit alpaca and 1/4 ounce of 4 bright colors of merino roving. Quick and cute! Hey guys! I just finished my DayBreak and I love it! When the pattern by Stephen West came in I fell smitten instantly and when the Zauberball from Schoppel Wolle came in I fell even harder for a color of variegated naturals, browns, creams and grays. So, sold on the color, I did a little research and Babel-fished the word Zauberball. The word means "charm ball" in German and what else could I do but run a little magic into the daybreak with this in mind. I used Malabrigo sock yarn for the stripes and chose "Light of Love" because I usually look pretty good in pinks and reds. I am casting a little spell that when I wear it the handsome-man-of-my-dreams will fall smitten, first for my daybreak and second for me! HA! To top it off Amber and I ran down to our favorite ice cream shop for the photo shoot; Sweet Action, and I got a scoop of Hibiscus, my favorite flavor and an extremely potent aphrodisiac! 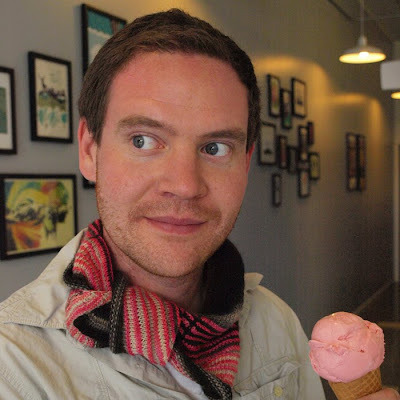 Between the ice cream, the magic and the week it took me to make it, this knitter is bound to get a little sweet action of his own this spring. I did things a little bit differently than the way the pattern called for because I wanted it to have purl ridges on every other stripe of color just to make it a little bit more textural. So on the last purl row of the stripe patterning I did a knit row instead. This pattern is super simple and fun and I hope that you guys give it a whirl. All that you need to know is knitting, purling, M1R, M1L, and slipping stitched. 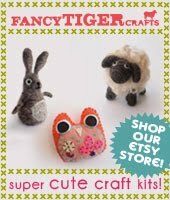 We're so in love with this pattern we've decided to have Fancy Tiger's first ever knit-along! A knit-along is where we all make the same pattern, but of course, because of different colors and yarn choices, everyone's will be unique. Here's the scoop: you purchase your yarn and pattern here at Fancy Tiger Crafts (you can also buy the pattern directly from the designer Stephen West on Ravelry) and make your daybreak. You have until 5/1/2010 to bring in your finished daybreak for a photo and we will give you a $10 gift certificate! If you need help knitting your daybreak, you can always stop by craft night and myself or one of the ladies can help you out. We can hardly wait to see your Daybreaks! I just finished my very first quilt! Hooray! 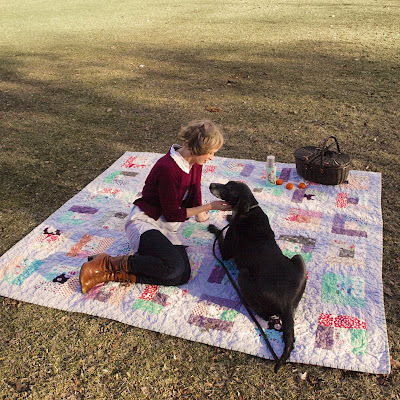 Our darling shop dog, Branwyn, and I took a trip to the park to celebrate. There are so many cute little prints that fly through Fancy Tiger--I can't resist them all, so I often get a quarter yard of this and of that. I decided I had to start to quilt with my little fabric treasures. 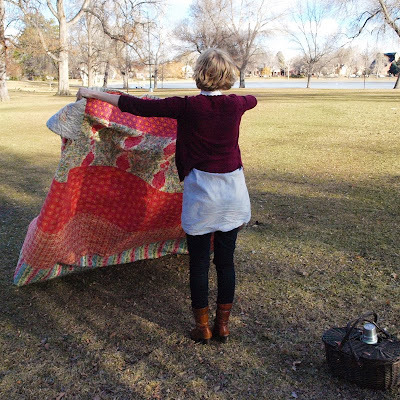 For my first quilt I chose a lot of cute little Japanese prints in soft greens, teals and grays and some brighter prints in tomato reds. I sewed them up into a simple log cabin patchwork quilt top. For the back I pieced together five strips of fabric in bright corals. The bold color makes me happy! I'm kind-of-so-excited about quilting now. I've already started on my next one! If you'd like to learn to quilt Fancy Tiger Crafts is offering several quilting classes, taught by our awesome instructor, Jessica. 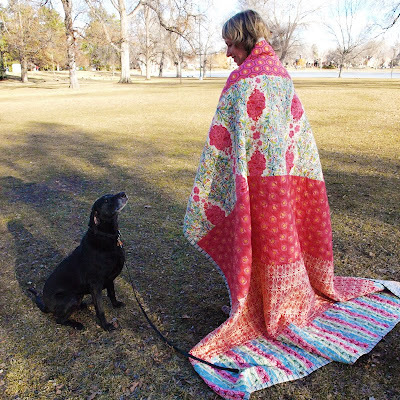 She's a quilting genius! New! Crooked Fence Alpaca Roving and Mill-Spun Yarns! 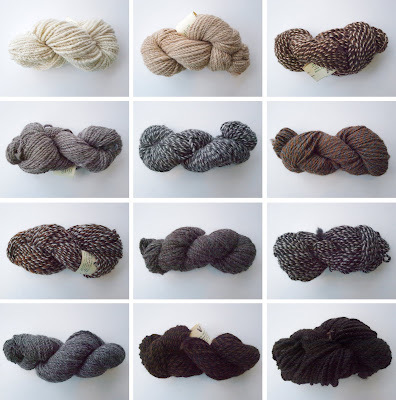 We're in love with the new Crooked Fence Alpaca roving and mill-spun yarns! 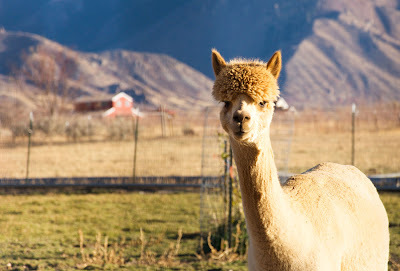 These cutie-pie alpacas from a few small farms in Utah make the softest, warmest fiber. 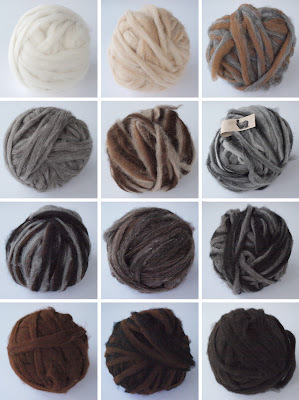 Alpaca fleece comes in tons of natural colors--white, beige, silver, rose-grey, charcoal, chocolate, natural black and everything inbetween. Crooked Fence then mills them into endless natural color combinations for tweedy and barber-pole style handspinning. If you aren't ready for handspinning we also have alpaca yarns from Crooked Fence. These chunky, mill-spun, super soft yarns have the look of a beautiful handspun but are made in a small, local mill owned by the farmers, where they and other small alpaca farmers bring their fleeces to be processed into roving and yarn. They are so special and lovely! 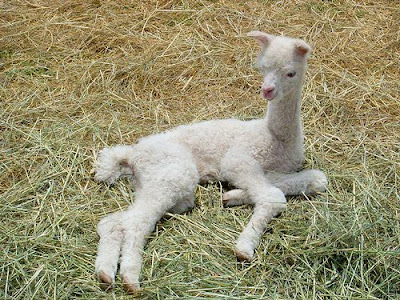 And now, here is a cute baby alpaca for your viewing pleasure. 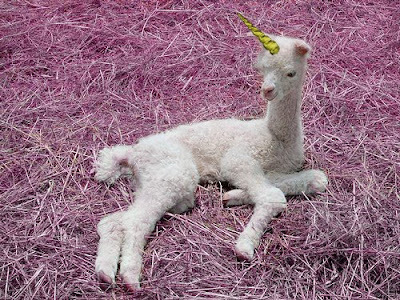 ...or is she a baby unicorn? We were super excited to come across this amazing tutorial for making your own professional, zipper-closure pillows from Design Sponge. We have all the gorgeous Echiono fabrics in stock so you, too, can have Design Sponge worthy pillows on your couch or chair! Or should we say Tunic Thyme! 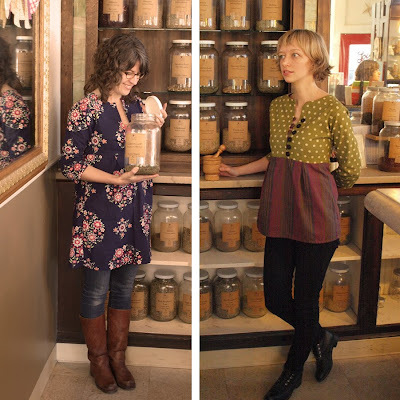 Jaime and I just went to Moondance Botanicals to photograph some of the cute tunic tops we've been sewing up lately. Our favorite herbalist, Tonja, runs this cute little apothecary. She served us some delicious herbal elixirs while we browsed the fragrant herbs and her handcrafted skincare products. 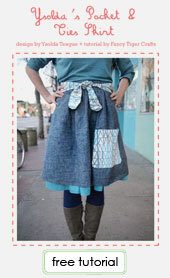 Here is our new Springtime Tunic, one of the classes on our Spring schedule. It is so quick and easy to sew--a really great first top for the beginner sewer! 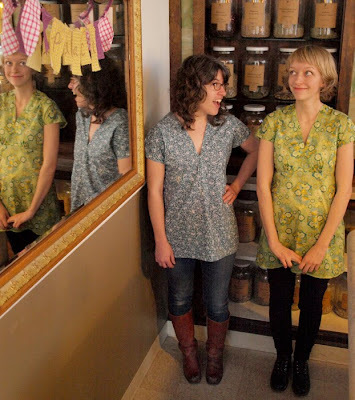 And here are Jaime and I showing off our Schoolhouse Tunics. This is a quick and easy pattern by Sew Liberated. I love this 3/4 length sleeve top for cool spring days. I got crazy with mine and used two different fabrics and added some contrasting buttons and button loops. Different lengths can make it a dress, tunic or shirt. 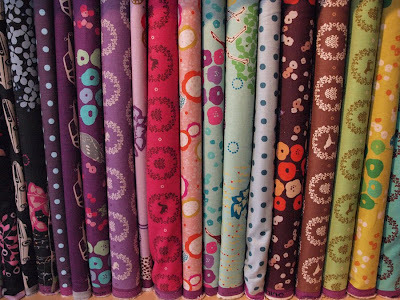 With all the cute fabrics we have in stock right now, its time to get sewing and make yourself a tunic! We have lots of cute patterns and classes so there can be tunics for all! New Joel Dewberry and Heather Bailey! We just received a box of Joel Dewberry's new Modern Meadow collection! I can't believe how pretty it is! Keep your eye on our Facebook updates and I'll let you know as soon as the rest of these lovelies arrive! UPDATE! 3-3-10: They are here! 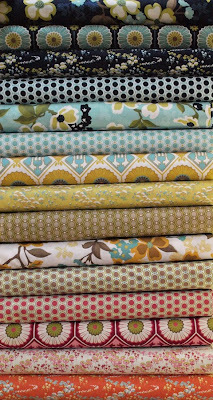 The Modern Meadow fabrics are all here! Yay! Also hot off the UPS truck--Heather Bailey's Nicey Jane laminated fabric. 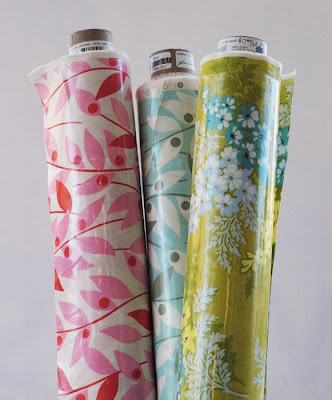 Perfect for waterproof table linens, bags, and aprons. Cute! All this bright, botanically inspired fabric and warm weather is making me hungry for spring gardening! We are happy to have Baker Creek Heirloom seeds for sale in the shop again this year. Come by and pick out your heirloom seeds for growing Emerald Evergreen Tomatoes, orange and yellow Pineapple Tomatoes, Chantenay Red Core Carrots, Red Marconi Peppers, Big Max Pumpkins that can grow over 100 pounds, Chioggia Beets, Di Ferenze Fennel, edible Chrysanthemums and more. Yum!